Sometimes a simple concept can make a huge impact. 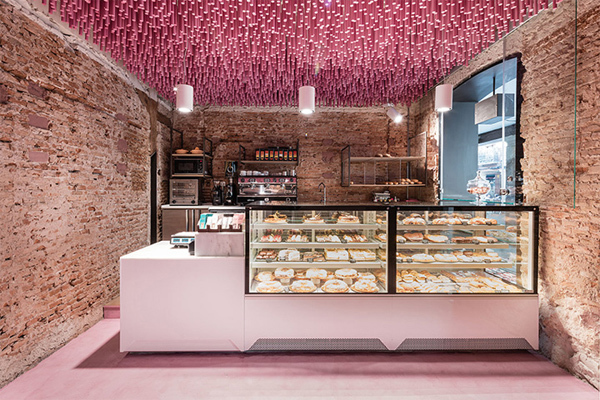 That is the case with Pan y Pasteles, a bakery located in the city of Alcala de Henares, near Madrid. 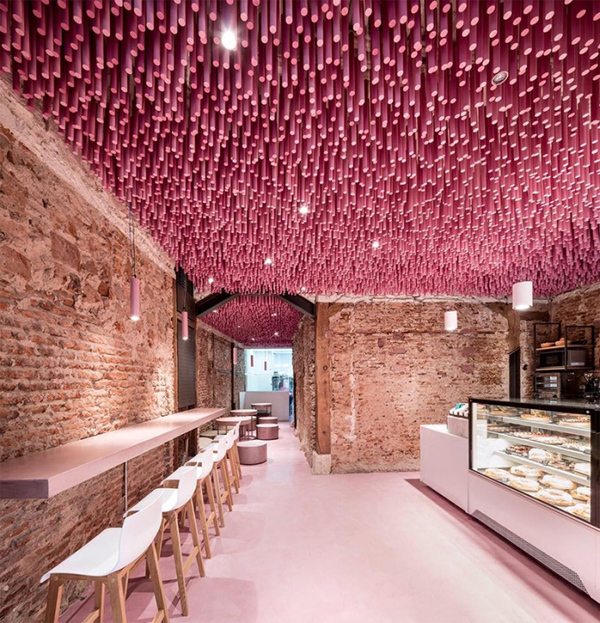 The design of the space was accomplished by Ideo Arquitectura. Inside, the 150-year-old building was transformed, taking the rustic qualities of the original brick walls and pairing it with a contemporary style suspended ceiling design. 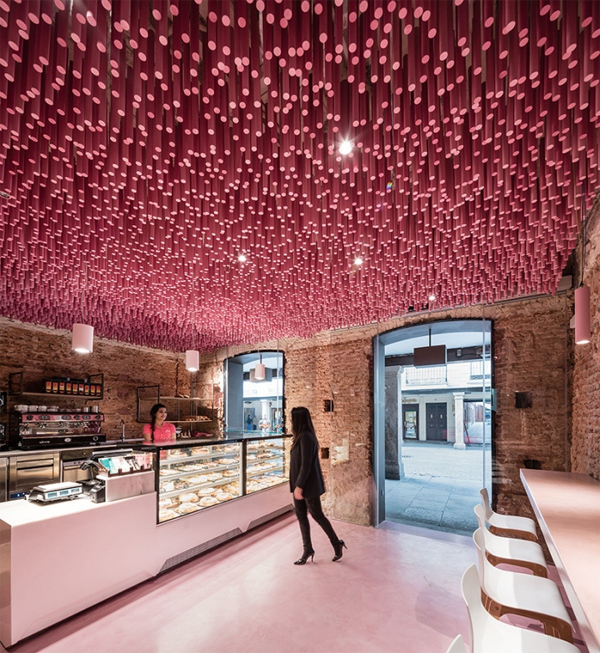 The ceiling consists of over 12,000 pink-painted wooden sticks. The look is playful while sophisticated and brings a uniquely memorable quality to the space.